Now there’s cake, and there’s cake that touches the soul! Meet Nicola, the founder of The Wild Blackberry Cake Kitchen & Shop. Based in Caterham, Surrey; having embarked on the TWB experience we are convinced she is in the business of making cakes that touch the heart & soul. The Wild Blackberry is a proud to be British bakery with a love to bring a bit of British whimsy to everything they do from flavour to design. 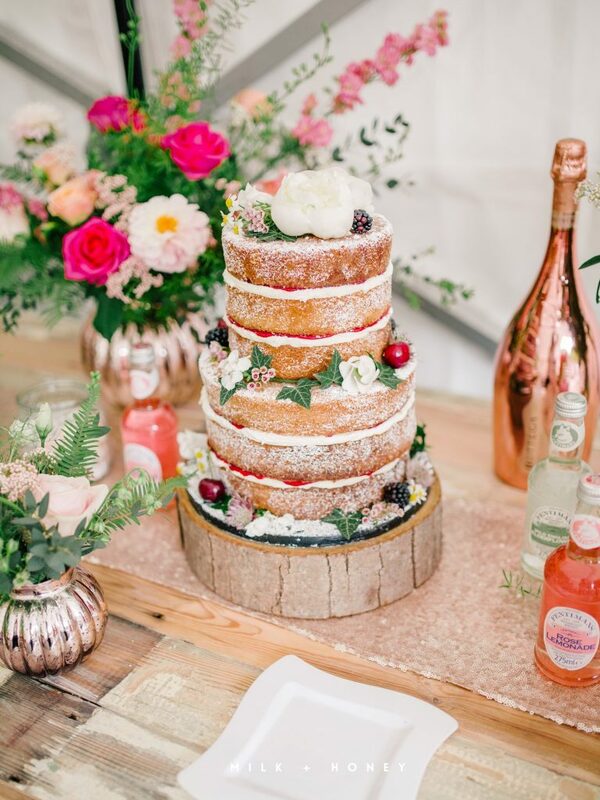 Specialising in tailor-made wedding cakes, they do also offer bits and bobs that can go along side: fairy cakes, iced cookies, cake pops, dessert tables and pretty much anything else sweet that you want. With wedding season upon us, we decided to try two very different cakes from The Wild Blackberry and both literally had our tastebuds going wild. First up was the buttercream cake. A two tier cake with the first tier composing of lemon zest sponge, with a creamy lemon buttercream and lemon curd. Now this was so moist through and through, with the nostalgic richness in the sponge which leaves you wanting more. The essence of a British sponge is captured with the gentle touch of the tiny seeds from the vanilla pod bringing you to a total eclipse of the tongue! The second tier’s base was a banana sponge with caramel buttercream and homemade caramel sauce. The caramel was rich and smooth whilst the banana sponge had excellent texture. Combined, both tiers were deep which allowed generous helpings for everyone! 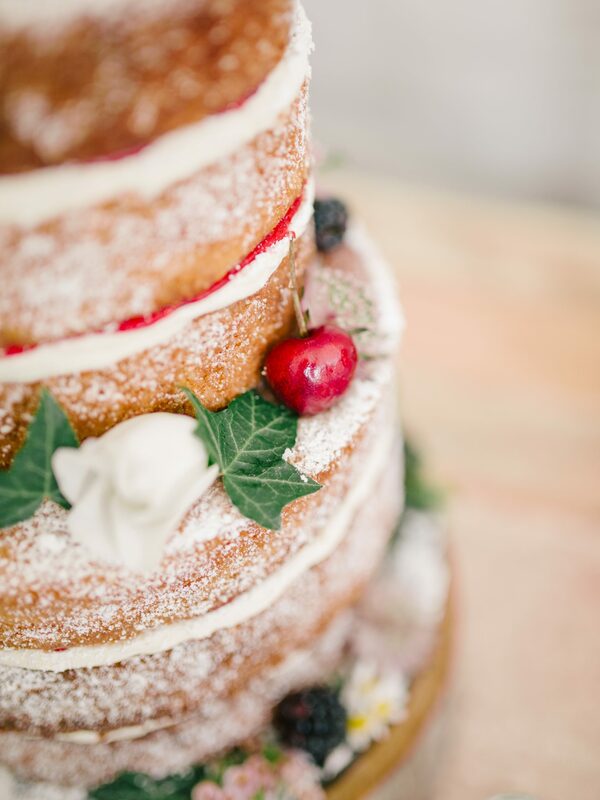 On trend and a growing request for weddings are naked cakes. 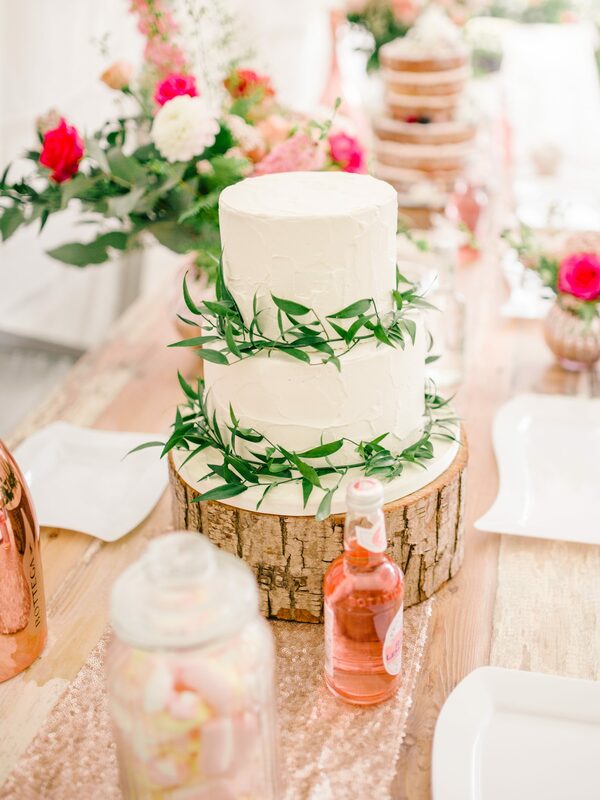 A minimalist celebration cake that also adds much to a rustic themed event. The naked cake was complete with vanilla sponge, and laced with a sweet white chocolate buttercream and raspberry jam. Can somebody shout Hallelujah! Each cake was laced with fillings and toppings that complimented the cake as a whole and was baked with a lot of heart and love! An all round 5* for our Wild Blackberry cake experience! We caught up with Nicola to find out more about her journey falling in love with cakes and just what it takes to run your own bakery! What inspired you to get in baking? Every year I would do a Christmas cake with my grandpa, he was very special to me and it was something special that we shared and that certainly gave me such a strong lasting love for cake decorating. I always knew I wanted a creative job and I fell back into baking whilst working for a friend who owns a deli, that paired with doing a cake decorating course for fun, lead to a lot of people asking me to do cakes for them and it just snowballed from there! Where did the name The Wild Blackberry originate from? I knew I wanted something a bit different and nature-based sounding, straying away from the usual naming it after yourself or anything to cliche sickly sweet. I also knew I wanted name that meant something to me, nothing faddy or that I would fall out of love with a few years down the line, Blackberries strongly remind me of my childhood including in the garden at home and also a blackberry picture my grandparents had that I would pretend to eat from. So the name meaning something to me personally and also sounding fresh and natural to reflect my cakes, it seemed to just fit! You specialise in artisan wedding cakes – why weddings and why artisan? I love focusing on wedding cakes because its a great feeling to be a part of someones special day, seeing how each person makes their wedding their own and how I can tie the cake into that for them. Even though the cake gets eaten on the day it is something they can look back on for the rest of their lives. Artisan is just a way to show that every aspect of my cakes is done by hand with a great deal of care and thought behind it. I use every skill I have to create something unique for each person and hopefully that shows. Having tasted 3 of your cake flavours and filling combinations, your cakes are amazing! What’s your personal favourite cake? Thank you! I work very hard on my flavours, plus using quality, ethical ingredients is huge part of what I believe makes the taste stand out from the rest. I offer an almost ridiculous amount of choice for people but why not get creative with flavours as well as design?! My personal favourite?! I think it has to be the secret recipe chocolate brownie sponge which I spent a long time tinkering with (and which I am converting a LOT of chocolate cake haters – me included – to chocolate cake lovers, but only when its mine!) paired with chocolate buttercream, homemade salted caramel sauce and toasted pecans. This secret recipe combination has never failed me! Being a business owner yourself, what have been some of the challenges you have encountered within your industry? The cake making industry is very saturated, there are a lot of people out there doing it. I knew from the outset I had to have a fresh approach to it, offering flavours like no one else and closely following design trends and exploring different ways of doing things to be able to offer customers something they may not have seen before or thought of. To other young aspiring bakers what advice would you give to them who want to follow in your footsteps? My advice would be to follow their own path and develop their own approach to doing things, its very easy to just do what everyone else is offering as there is a market for that, but its limiting and competition is tough. Try and develop your own style and offer something with a slight difference just to set yourself apart from the rest. For me personally having a job that is also a creative outlet is just good for my soul and I find that pretty rewarding in itself but at the end of the day you cant argue with the fact that every cake makes people happy. When people thank me for making their special day just a little bit more special, who wouldn’t find that rewarding?! Lastly -what inspires you to keep going daily? Running your own business is tough, there is so much behind the scenes work that people don’t realise (especially when you do every inch of it, like myself) but at the end of the day my job is cake making and thats pretty awesome. Cake symbolises happiness and celebration and I get to be a part of creating that for people, helping to bring just a little sweetness and joy to a world which can sometimes be a little scary!